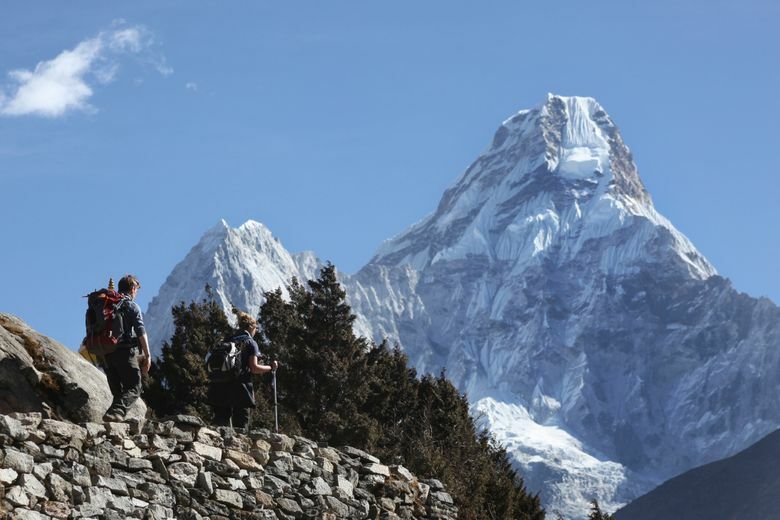 KATHMANDU, Nepal (AP) — Two British and a Mexican climber on Thursday became the first foreigners to scale Mount Everest in two years together with three Nepalese guides, officials said. The six climbers reached the 8,850-meter (29,035-foot) peak early Thursday and were heading to lower camps, said Ang Tshering of the Nepal Mountaineering Association. The Brits are Kenton Cool and Robert Richard Lucas, and the Mexican is David Liano Gonzalez. For Cool, 42, it was his 12th successful climb of Everest. Gonzalez, 36, is the record holder with six successful ascents of Everest from both northern side in China and southern side in Nepal in the same season. The Nepalese government has issued permits to 289 climbers to attempt to scale Everest. They have to do it in the next few weeks before the monsoon rains bring in bad weather. A group of nine Nepalese guides fixing ropes for their foreign clients reached the summit on Wednesday. The successful climbs this week come after two years of back-to-back disasters. An avalanche triggered by a powerful earthquake killed 19 climbers and injured 61 others at base camp last year. In 2014, 16 Sherpa guides were killed by an avalanche above the base camp. Last year’s climbing season was scrubbed, and nearly all of the climbers in 2014 abandoned their attempts after the avalanche. The only team who reached the summit that year from the Nepal side was a Chinese woman and her five Sherpa guides. Earlier this week, two Nepalese Sherpa guides died of complications due to high altitude sickness at a lower camp on Mount Makalu, the world’s fifth highest.